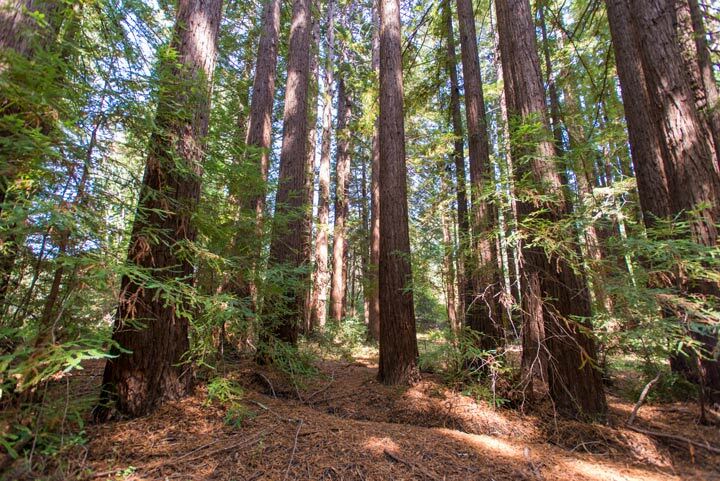 We’re lucky here in the Bay Area to live close to places like Muir Woods National Monument and Big Basin Redwoods State Park where we can escape for a hike in the redwoods. While you’ve probably heard of both of these places, you might not know that they can get pretty crowded – especially in the summer. This four-mile climb to a fire lookout provides great views of the surrounding redwood forest of Little Basin. This property was once a company retreat for Hewlett-Packard until POST purchased it in 2007, making it available for public enjoyment. Keep a lookout for red huckleberries, star lily, mountain iris and black-tailed deer along the way. This 4.6-mile hike follows old logging roads through towering second-growth redwoods. This forest was cut down in the Gold Rush era but has since recovered and is now home to a variety of wildlife. 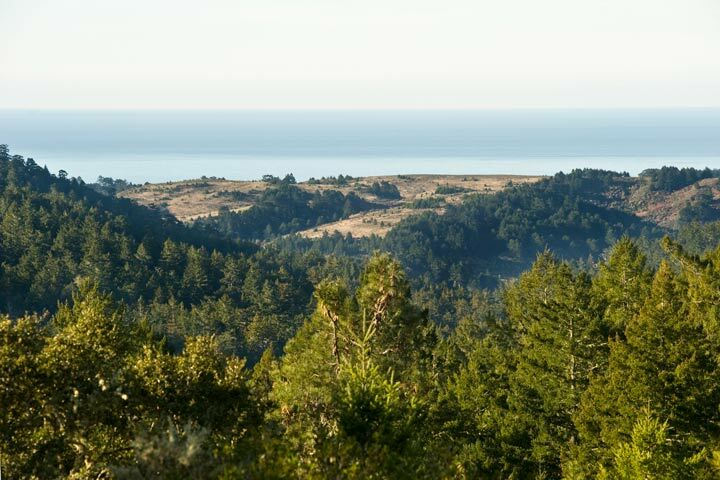 In 1995, POST partnered with Save the Redwoods League and Midpeninsula Open Space District in an ambitious campaign to protect this property. We’ve since transferred the land to the National Park Service and it is now open for public enjoyment. 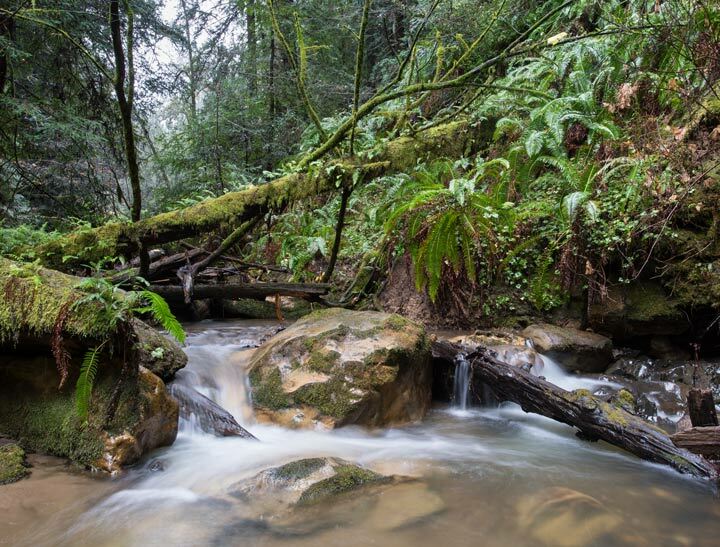 This hike meanders through redwoods and along a beautiful creek for a total of seven miles round-trip. POST protected Purisima Creek as part of our Saving the Endangered Coast Campaign back in 2005. 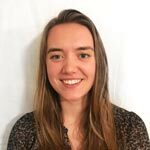 Keep an eye out for huckleberry shrubs, madrone, tanoak and lots of banana slugs! If you’re up for a day-long redwood hike, this 11.7-mile hike follows the rim of a secluded canyon full of huge second-growth redwoods. 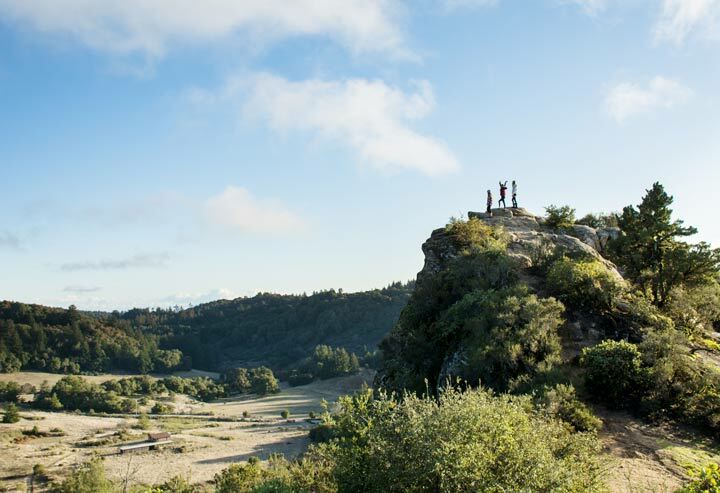 It features beautiful vistas of the Santa Cruz Mountains and, on a clear day, you can see as far as Big Basin Redwoods State Park. In 2000, POST protected 903 acres of this park and has since transferred it to State Parks for permanent management and protection. 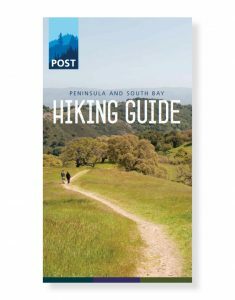 Looking for more great redwood hikes?